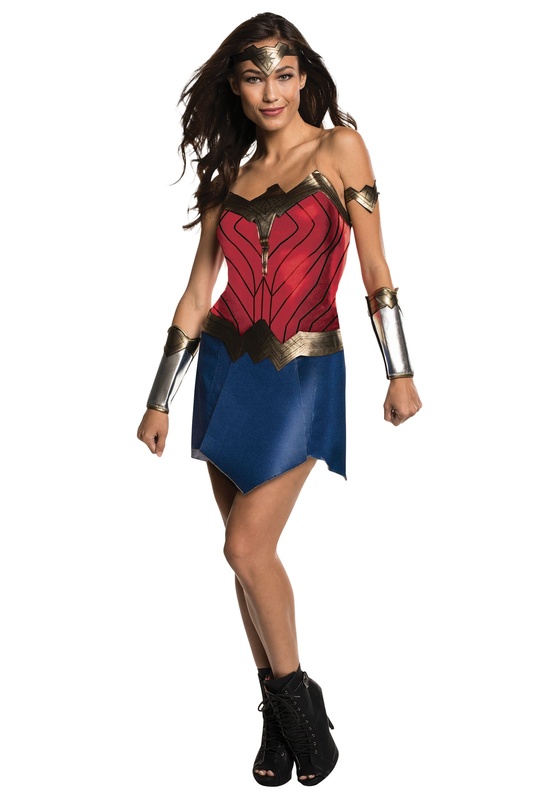 So you might not actually be Princess Diana of Themyscira, but you can sure rock her look from the movie when you pick up this Classic Wonder Woman Costume. For ladies who think they've got what it takes to become a superhero, this look will give you everything you need to become legendary. Except for superpowers, but who needs those when you look this cool! As a Gal Gadot Wonder Woman costume, this look is pretty legendary in itself. But when we get it on ya, you're sure to be as famous as any actress who has played the part! Whether you're into the spin-and-lasso, or prefer a sword and shield; we're sure you'll be a top flight action hero! This slick dress ensemble will have you ready to take on all the bad guys. The polyester dress has foam accents and printed details, and it really resembles her DC Universe look. Of course, the style wouldn't be complete without signature accessories, so this costume set also comes with a belt, gauntlets, arm band, and a tiara! Secure the polyfoam pieces and you too will be ready to help save the day. When you have this modern take on Wonder Woman style, there's no saying where the action is going to take you. One minute you might be fighting for the allies in World War I, and the next you might just be partying with all the other superheroes at the big party. That is the life of the Amazing Amazonian after all! The costume is almost true to size (a bit big, which is fine), it fits and looks OK.